The synth that kick-started the affordable analog revolution is reborn as an addictive, inspiring step-sequencing synth with huge modular capabilities.An exciting evolution in the MiniBrute story, MiniBrute 2S stays true to the raw sound-shaping power of the iconic original, while adding thrilling new features and possibilities. A beautifully thought-out sequencing analog synth, an essential link to the modular world, and an instrument that will grow with you. MiniBrute 2S will help you create sounds that no one has ever heard before.There’s no doubting the legacy and lasting impression the original MiniBrute left on the industry, but where could we go next? The MiniBrute was a statement. An organic, tangible breath of fresh air, a proud analog monument among the slew of sound-a-like synths that had flooded the market. 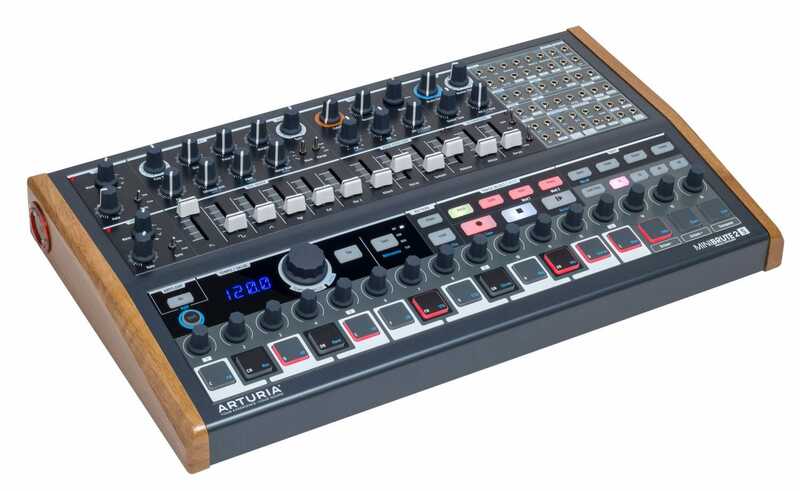 Arturia’s ethos has always been to create exciting, meaningful instruments; instruments that traditional synth companies simply wouldn’t release.. 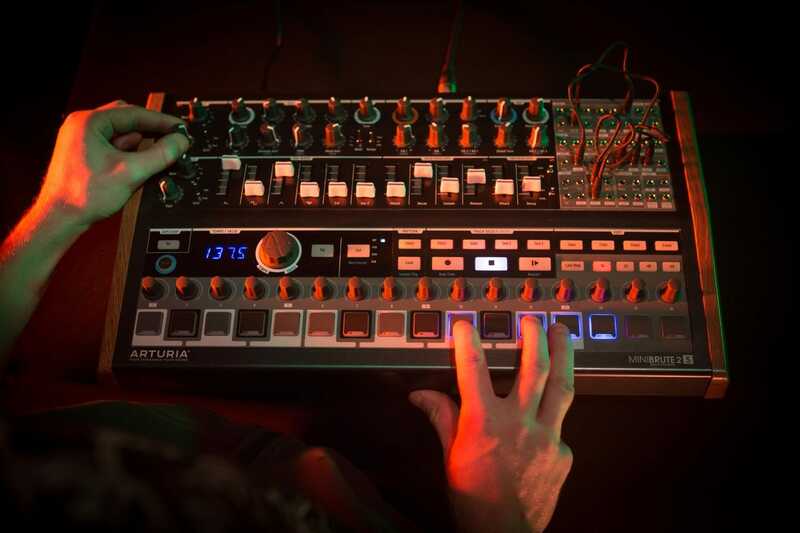 If we were going to recreate a legend, the 2nd generation of MiniBrute needed to be raw, exciting, and more than a little bit scary.Born out of necessity, MiniBrute 2S was designed to bridge the gap between the more traditional synth world and the ever-evolving modular scene. Creating a sort of ‘creative glue’ that would fuse these two creative processes together, making something new and exciting. 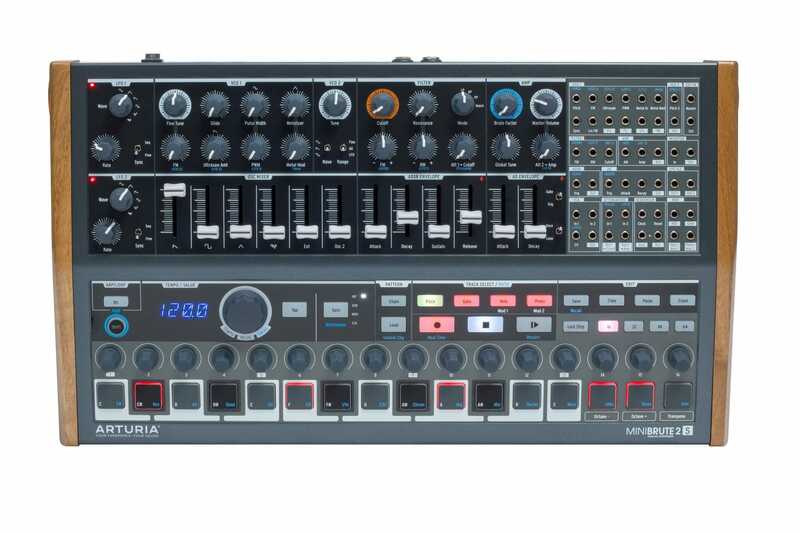 Once again, MiniBrute is the catalyst for change.